TAG is a Travel Advocacy Group, founded by Community Marketing Insights in 1997. The TAG Approved® Accommodations program presents a unique opportunity for “LGBT-welcoming” hotels, resorts and B&Bs to qualify with objective standards, and cooperatively reach and serve the community. Register today to unlock a new world of opportunity. Virginia Tourism has partnered with CMI to reduce the program’s annual membership from $259.00 to $155.00 to accommodate more businesses and budgets. Being a TAG Approved Accommodation is a cost-effective way to reach LGBT consumers throughout North America. TAG Approved Accommodations Website, Mobile Optimized Directory and iPhone App Listings: Your property is listed, searchable and linked on TAG Approved’s internet and mobile optimized directory, www.tagapproved.com. Your hotel’s hyperlink is included so site visitors can go directly to your website. Your property is also listed on TAG Approved’s iPhone app. TAG Approved Logo Usage: Your hotel is authorized to use the TAG Approved logo on all promotional materials. Education and Training: Gather the team around for online training! TAG Approved invites you to participate in ten live webinars every year. Webinars such as LGBT Diversity Training for Hotels, Twelve First Steps to Success in the LGBT Markets, and Attracting LGBT Group Business provide practical advice on increasing return on investment. Many webinars are recorded and archived on our TAG Approved member benefits website, so you can stream them at your convenience or share them in your office. Conference Discounts: CMI produces the annual Conference on LGBT Tourism & Hospitality. TAG Approved Accommodations members may register at a 50% discount rate. Member discounts are also offered to attend CMI’s LGBT Tourism Symposia in New York City and Hawaii. LGBT Tourism & Hospitality Research: Learn from the latest research. CMI produces the annual LGBT Tourism & Hospitality Research Report, the annual LGBT Community Survey® and other specialty reports, and provides them to TAG Approved members at no extra charge. TAG Approved Help Desk: The TAG Approved Help Desk allows you to call or email our marketing professionals to answer your questions on how to reach the LGBT market (some reasonable time limitations do apply). 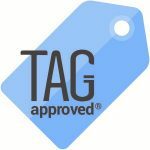 Marketing & Advertising Special Offers: TAG Approved has negotiated a unique collection of discounts and offers with the leading LGBT media, websites, bloggers, etc. to gain even more value for your membership. Check your welcome email for our password-protected media partner offer site. To learn more about TAG Approved, download the VA / CMI TAG application on this webpage, and contact Glen Fishman by email at glen@CommunityMarketingInc.com.